an award-winning PR, Marketing and Design Communications agency focused on providing differentiated and integrated solutions for Public Relations, Crisis PR, Internal Communications, Lobbying, Media Training, Event Management, Graphic Design and Social Media. Our core belief is that clients need solutions and not specific services. At Fuzion our muti-disciplined team provide an integrated range of Marketing, PR & Graphic Design services for all platforms. The tenacious and hard-working multi-disciplined team at Fuzion are dedicated to all of our clients. With any prospective clients we operate a very straight forward but thorough process to ensure optimum success. Deirdre founded Fuzion in 2000 and works between the Dublin and Cork offices. Deirdre is a PR and Marketing Professional with over 25 years industry experience in the UK and Ireland in a variety of sectors including hospitality, consumer education, finance, legal and IT. Deirdre's specialities include Communications Strategy, Reputation Management and Crisis Communications. 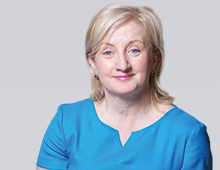 Deirdre has worked on some very high profile cases, managing client reputations through potentially critical times, using her understanding of the media landscape, her practical and empathic approach, as well as her strong media relations built up over 25 years in the industry. Deirdre is a former President of Network Ireland for Women in Business (2016), former Marketing Director of the Rose of Tralee International Festival, former Board Member of CERT (Tourism Training Agency) and a Board member of the Cork Foundation. Deirdre is a regular speaker on topics such as Developing your Personal Brand, PR in a Digital Era and Female Entrepreneurship. Deirdre works with clients including Dunnes Stores, Enterprise Ireland, Down Syndrome Ireland, James Whelan Butchers, the Work Relations Commission and Flynn Hotels. Deirdre was the project lead on two of our PRII award winning projects, namely the Cystic Fibrosis ‘Irish War Heroes’ campaign and the medical card campaign for Down Syndrome Ireland. Greg joined Fuzion in 2003, bringing a strong commercial aspect to the business. He is a qualified accountant who held senior roles within the drinks industry for Heineken and Guinness including posts as General Manager. Greg also had a chain of music stores in a number of locations around Ireland. Greg works with clients on their Communications Strategies and he develops social media strategies and implementation plans for clients and supports these with the Fuzion social media team. He provides social media consultancy and support to the Crisis PR team. He creates and delivers social media training programmes for some of the Local Enterprise Offices as well as delivering bespoke training for clients. 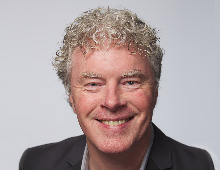 Greg is a social media enthusiast, an avid writer and social commentator and is considered to be one of the leading B2B bloggers in Ireland. His regular B2B blog and the Fuzion blog, which he manages, have attracted a large following with many of the submissions featuring in national publications. Greg also produces the Fuzion Win Happy podcast. Greg has worked with clients such as Cork City Council, Gorta, KMCS, CompTIA Local Enterprise Offices, UCC Ignite Programme, EMC, Down Syndrome Ireland, Early Childhood Ireland, Citizens Information Board, Dublin City Childcare Committee, SAS Software, UCD Innovation Academy, RTE, Japanese Embassy for Ireland, Aircoach, Bord Iascaigh Mhara, and the Workplace Relations Commission. In conjunction with the Fuzion design team, Greg developed the globally successful anti-cyberbullying infographic ‘Safebook’, which led to a Chambers Ireland national CSR award. 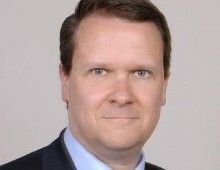 Greg is an elected Council member of Dublin Chamber of Commerce. Greg is a qualified accountant with the ACCA. Alison joined Fuzion in 2007 and has worked with us since then, except for one year with The Hope Foundation. 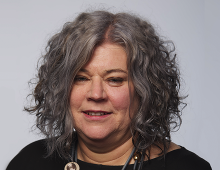 Alison is a vastly experienced PR professional who has worked with diverse public and private clients across many sectors successfully, building very strong relationships with the media both regionally and nationally. Alison is extremely organised and is superb at managing complex projects, often with a mix of traditional and digital media and has strong experience successfully managing projects with a wide mix of stakeholders. On many of these projects she has overseen the execution of strategic advertising campaigns including digital media and traditional campaigns. Alison’s clients/campaigns include Enterprise Ireland - Local Enterprise Offices, Cork City Council, Cork County Council, Cork Chamber, UCC Business Information Systems, Cork University Business School, IGNITE Programme, Local Enterprise Offices’ ‘Ireland’s Best Young Entrepreneur’, ‘Local Enterprise Month’ and ‘Online Trading Vouchers’ campaigns, US biotech BioMarin, Flynn Hotels, Film In Cork, Mercy Hospital Foundation, Global Cork Economic Forum, and Tour de Munster. Alison was a key part of the team that won the prestigious PRII award for the ‘Irish War Crimes’ campaign for Cystic Fibrosis. Alison is Fuzion’s longest serving team member, a consummate professional and a stickler for attention to detail. 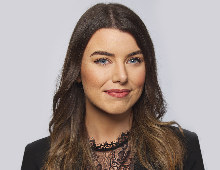 Alison O'Brien holds a Masters in Public Relations from Dublin Institute of Technology and is an Honours Arts graduate of University College Cork. Jonathan has been the Creative Director at Fuzion since 2003 and has been working in the design industry since 2003. He has a passion for typography and digital illustration. Jonathan has extensive experience working with many clients including Musgrave, Enterprise Ireland, Dunnes Stores, Nova Broadband, Intel, McAfee, Dairygold, Kinsale Bay Food Company, James Whelan Butchers, JCD Group (John Cleary Developments), Johnson & Johnson, Dublin City Council, DCU, Shire Biotechnologies, Colliers International, Savills, Cork’s English Market, Cork City and County Councils (Cork Brand book) and the National Children’s Hospital. Jonathan is an award winning designer, receiving the Student Designer of the Year while studying in Cork Institute of Technology and was awarded membership to the International Society of Typographic Designers while in LSAD. Ciara recently joined the Fuzion team and comes with nine years of integrated PR, communications and media experience. A passionate communications professional, she has been engaged in both non-profit and corporate communications, cause-related marketing, major events planning, integrated and digital communications campaigns, crisis management and content marketing throughout her results-driven career. As well as working as a journalist for a number of national titles including the Irish Independent and the Sunday Business Post, Ciara worked as an investigative journalist for the Medical Independent and as a Senior Journalist for Irish Pharmacy News. A keen content creator, she has a portfolio of content from national and international news organisations such as BBC News, Al Jazeera, Sky News, Vice News, The Irish Times and The Irish Independent. In the non-profit sector she worked with both national and international organisations, including Plan International and GOAL Global working on some of the largest humanitarian crises, including the Ebola crisis in West Africa, the Syria crisis and the Boko Haram crisis in Nigeria. Ciara has previously led guerilla PR campaigns including showing Grafton Street with the aftermath of an earthquake and putting a fake missile in Dublin's city centre. Keenly up-to-date with communications and PR trends, she has lectured and trained in Mojo (mobile journalism) with Griffith College. 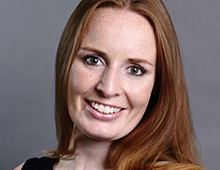 Ciara has worked with professionals at all levels as a media trainer and consultant. Seasoned in crisis communications, she has worked directly with CEOs, Senior Management and Board Directors in response to major organisational crises. Her clients include; ECO-UNESCO, CRY (Cardiac Risk in the Young), The Mission to End Leprosy and the IHRB (Irish Horseracing Regulatory Board). Ciara holds a BA in Economics and Politics and an MA in Communications and Journalism. 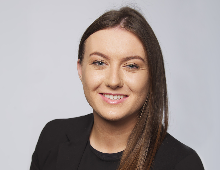 Saidhbh joined the Fuzion team in early 2016 and works with a diverse range of businesses across a variety of sectors. Combining a mix of both traditional and digital media, Saidhbh successfully delivers campaigns for her clients on both a national and regional level. 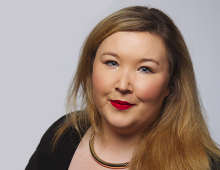 Prior to joining Fuzion, Saidhbh has experience working for the PR Boutique in Dublin with a key focus on the Irish beauty industry for internationally renowned brands. With a background in the equine industry, Saidhbh also worked with the team at Rathbarry Stud, collating statistical information and researching stallion progeny for marketing purposes. Saidhbh’s personable manner combined with her terrific work ethic delivers fantastic results for her clients. Her clients include IHRB, Flynn Hotels, Food Institute UCC, Aircoach, Film In Cork, Kinsale Bay Food Company, Local Enterprise Offices, Douglas Court Shopping Centre, Manor West Shopping Centre, Chia Bia, Town & Country Hampers, 30 Seconds, Trident Hotel, Network Ireland, and Tour de Munster. Saidhbh holds a degree in Equine Business, graduating from Maynooth University. Yvonne has recently joined the Fuzion team, bringing with her almost 20 years marketing and creative communications and design project management experience. Yvonne spent 11 years working in the UK as an accountant in the service industry and returned to Ireland working in a number of marketing agencies in the areas of general management and business development. In 2005 she set up and managed her own multi award winning marketing agency, Kanvas Communications which quickly became the market leader in the niche areas of Pharmaceutical Marketing and Creative Internal Communications. More recently Yvonne worked in as Client Services Director for Publicis Groupe, one of the largest advertising and public relations companies in the world. Yvonne has worked on the planning, conceptualising, development, production and implementation of large multi-faceted creative marketing and communications campaigns for large multinational organisations on a local, national and international level. In addition, she has worked in the areas of internal communications around strategic planning, motivation, health & safety, change management, mission, vision and values, recruitment and retention, CSR and ‘Good Place to Work’ initiatives. 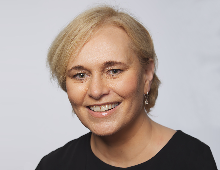 Among her clients, Yvonne has worked on projects for HSE, Pfizer, Diageo, Abbvie, Novartis, MSD, Pepsi, Musgrave, RedFM, Abtran, Morgan McKinley, Sanofi, UCC, Barry’s Tea, Glaxo Smithkline, Cork City & County Councils, Merck, Facebook, Linkedin , Eli Lily and Boston Scientific. Yvonne holds CIMA qualifications, a DIT Diploma in Business Studies as well as Diplomas in Graphic Design and Digital Marketing. Michelle, a senior PR and media professional joined the Fuzion team as a PR Account Manager in 2019. 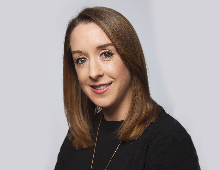 Prior to joining Fuzion, Michelle worked in Corporate PR having worked with Q4PR agency across a wide range of accounts including Bank of Ireland, Bus Eireann, Mater Private Hospital, The Beacon Clinic and the Citizens Assembly. Michelle also has vast experience in Consumer PR having managed accounts such as Remington, Regatta and George Foreman. Michelle comes from a television background where she worked as a Producer in Virgin Media Television (formerly TV3) for over six years. Having produced and edited content across both documentary and live programming across a wide range of topics, Michelle has a keen eye and interest in creating specialised video content for public relations campaigns. 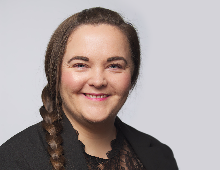 Michelle brings a wide range of experience to Fuzion, managing the PR for accounts including Enterprise Ireland - Local Enterprise Offices, Down Syndrome Ireland and Aircoach. Michelle holds an MA in Journalism and a Diploma in Public Relations and Marketing. Mark joined the Fuzion team in 2018, bringing vast and diverse experience to the creative team. Mark has been responsible for many local brand development projects since he relocated to Cork, having worked with Cork Heritage Pubs, Urban Design & Print and as an independent designer. His experience covers entertainment, advertising, packaging, event promotion, storefront and signage design, photography, brand development and interior graphics. Prior to moving to Cork, Mark was an established designer with a background in the tech sector, the arts, media and television. With clients as diverse as Amazon, Disney Interactive, Microsoft, Vision Independent Productions and the Irish Technology Leadership Group he has a rich skillset. 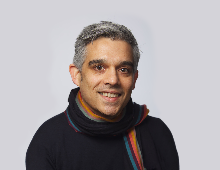 Mark has a love of strong, clean and versatile graphic design and enjoys working with small businesses and startups as well as established brands. 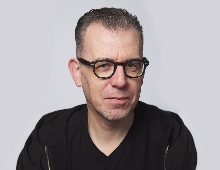 He has an affinity for Bauhaus and Dutch design and is well known in the entertainment sector for his work with Triskel Christchurch and Crane Lane Theatre. Mark graduated from WIT where he specialised in Art & Technology. Suzanne joined the Fuzion team as a PR Account Executive in 2018. Since joining Fuzion, Suzanne has worked on major national accounts such as Dunnes Stores, James Whelan Butchers and Enterprise Ireland (Local Enterprise Offices) as well as the IBYE (Ireland’s Best Young Entrepreneur awards), The English Market and Tynan Dillon. She has been credited with going beyond the brief, with a genuine care and passion for delivering results. Her responsibilities and expertise includes event management, social media management and securing both digital and traditional media coverage for clients. Suzanne previously worked with Dubai based, international airline Emirates in the in-flight services department and was also part of the sponsorship events team. She has translated these experiences, such as global travel and working within a multicultural and diverse fast paced environment, into her role in PR which offers a unique perspective to clients. Suzanne is a graduate of UCC with a Food Marketing and Entrepreneurship Bsc and also has recently completed a Professional Diploma in Digital Marketing from the Digital Marketing Institute. Alma is a key member of the digital team and is responsible for managing and creating content for many social media accounts across various sectors, from the food industry to the leisure industry. This work also includes the planning and execution of competitions and online advertising campaigns. She also provides bespoke social media training and support to clients and runs training courses for some of the Local Enterprise Offices as well as being a social media contributor on the Fuzion Win Happy podcast. Alma has worked with many clients including Musgrave, Imperial Hotel Cork, Old Ground Hotel Ennis, LEO South Cork, Newpark Hotel Kilkenny, Park Hotel Dungarvan, Vintage Tea Tours, Escape Spa, 30 Seconds and COSMO Dublin. Prior to joining Fuzion, Alma worked as part of the marketing team in Fota Wildlife Park, concentrating mainly on their social media, magazine and events offerings. Alma holds a Postgraduate Diploma in Digital Marketing from the Digital Marketing Institute, an Honours Bachelor Degree in Business from Cork Institute of Technology, and an Advanced Certificate in Event Management from Cork College of Commerce. Emer joined the Fuzion team as a PR Intern at the beginning of 2019. Having graduated from UCC, Emer spent an academic year living and studying in Bilbao in Northern Spain. Thanks to this multicultural experience Emer has learnt how to communicate more efficiently in her daily life, and she utilises this in her role at Fuzion. Emer has an extensive background working in the retail industry for brands such as River Island, Monsoon Accessorize and POCO by Pippa. Emer has also worked in the beauty industry and in her most recent role she worked as a Sales and Marketing Assistant for Bellamianta and Iconic Bronze. In this role Emer liaised with many high-profile pharmacies including Boots, as well as working with influencers and creating content for the company’s social media platforms. Emer has also worked on previous PR projects including Cork’s Christmas Market Glow Cork. Since joining Fuzion, Emer has helped the team with several projects and worked on accounts such as Cork City’s Local Enterprise Week and the Hi-Spirits event for Paddy Whiskey ‘The Spirit of Paddy’. Emer holds a BA International in English and Spanish. Abigail joined the Fuzion team as a PR Intern at the beginning of 2019. 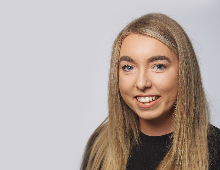 Having graduated from the Institute of Technology in Carlow Abigail spent 6 months interning with Lindsey Holmes Publicity, where she worked very closely on accounts such as Electric Picnic, U2, Woodies, RuthAnne and TanOrganic. From pitching to press, attending various events and creating PR and Social Media strategies, Abigail already has gained experience in all aspects of PR. Through her experience, she has a great knowledge of social media influencers and has developed great relationships with entertainment media. 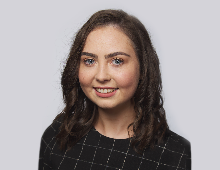 Since joining Fuzion, Abigail has worked on several projects with the team including accounts such as ECO-UNESCO, Enterprise Ireland, Aircoach and Down Syndrome Ireland. Colman joined Fuzion in 2014 as Office Manager. 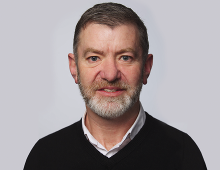 He has over 20 years of experience working with FMCG companies including Coca Cola and Mondelez Ireland. Áine Collins is a former TD and has extensive experience working in policy at government and industry level in both domestic and international markets. During her time as a TD Áine was a member of the Joint Committee for Jobs, Enterprise & Innovation and Chair of the Internal Small Business Committee. Áine played a leadership role in the formulation of policy in these areas and also led the policy on mentoring small businesses which is now being implemented by Enterprise Ireland. Áine was also a member of the Public Accounts Committee who challenge the effective disbursement of public finances across government departments and publicly funded organisations. Áine was the driver behind important initiatives including the equalisation of tax rates for the self-employed, the introduction of fuel rebates for the haulage industry and reductions in commercial vehicle motor taxes to eliminate disparities with our neighbours in Northern Ireland and the UK. As an entrepreneurial visionary leader and qualified accountant Áine has a proven track record in working with businesses to overcome challenges in developing new markets and business growth across a number of sectors. Áine currently provides business advisory services to a range of companies and organisations. Áine frequently participates in broadcast discussions on political, business and socio economic policy issues. Niall Tierney is a brand clearance and protection lawyer with over 20 years private practice and in-house experience gained in Ireland, the United Kingdom and Switzerland. Niall has extensive multi-jurisdictional legal experience in the law of clearing, protecting, defending and exploiting brands, trademarks, logos and designs. His other areas of expertise include Domain Name enforcement and e-commerce Notices and Takedowns and Image Rights. Niall has acted for and advised clients across a spectrum of sectors, including FMCG, fashion, luxury goods, information technology, broadcasting/entertainment and pharmaceuticals. Niall is authorised to act on behalf of clients before the Irish Patents Office, the European Union Intellectual Property Office, United Kingdom Intellectual Property Office and the World Intellectual Property Organisation. Niall was awarded “Best Intellectual Property Law Practitioner” for Ireland in 2016 by Business Worldwide magazine.